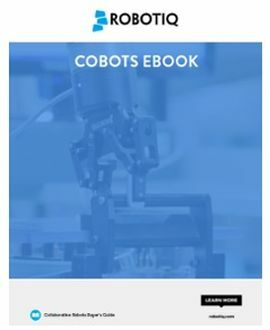 The collaborative robots market is evolving at a very fast pace and to help users keep pace Robotiq has published a seventh update of their most read eBook -- The Collaborative Robots Buyer's Guide. The eBook is now available for free on Robotiq.com. Manufacturers who are thinking about adding a robot to their production floor will have a clear view of what's available. Those who plan on expanding automation in their factory will see which model would fit best. Finally, there are a few words on what's coming next. Readers will learn about future perspectives, new models and new players that are entering this expanding, promising market. To get the Collaborative Robots Buyer's Guide, click below.